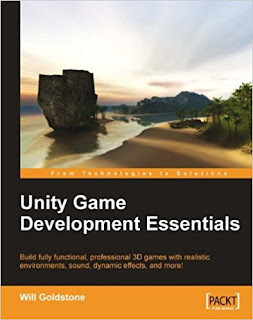 Unity is a 3D game authoring tool for Mac and PC. Game engines are the nuts and bolts that sit behind the scenes of every video game. From the artwork right down to the mathematics that decide every frame on screen, the "engine" makes the decisions. Starting out with rendering—the method of displaying graphics on screen, and integrating a control method and a set of rules for the game to follow—the engine is what a developer builds to "house" the game. Modern 3D game engines are a deluge of meticulously written code, and as such, once used for their intended purpose (which is the production of a game they are made for), these engines are often sold, modified, and reused. An obvious example of this is the Epic Games Unreal Engine. Originally developed in the late 90s for Unreal—a PC First Person Shooter—the engine has gone on to see massive success in its more recent incarnations, being licensed by other developers for literally hundreds of commercial games and simulations.